This perfume was sent as a gift from my friend Doreen at the Verdant Faerie. 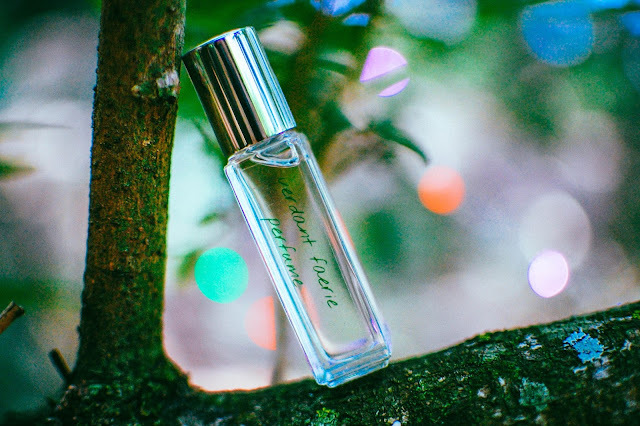 My friend Doreen at the Verdant Faerie is not only a kind hearted beautiful soul, but she is also a magical writer and a talented all natural perfumer. I have reviewed some of her fragrances in the past that can be read here. I highly recommend reading Doreen's blog which can be found here or linked on my blog roll on the right-hand side bar. 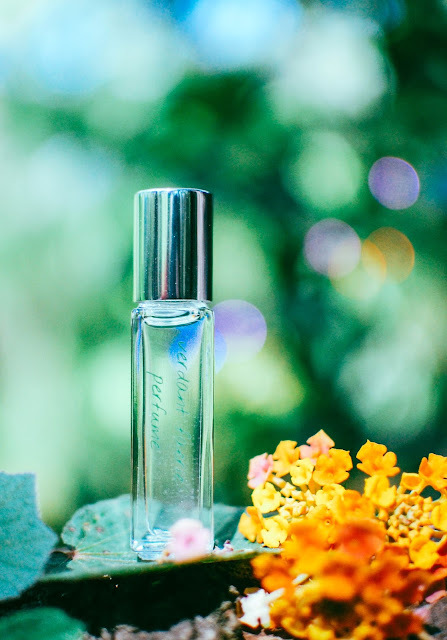 Doreen recently went abroad and brought back some copal resin, which she generously shared with me along with this new perfume of hers called Butterly. Butterly is an aromatherapy blend that lifts the spirits and soothes the senses. It works to alleviate jet lag, assist during long distance car rides and may even help with studying. As Butterfly alights onto the skin a cool sweet peppermint ushers in feelings of serenity. The minty sweetness is an ephemeral top note, though the impression of coolness lingers and the peppermint transforms into garden mint. Soon a vivacious grapefruit pith shimmers like scales on a butterfly's wing and imbues its delicate citrusy tartness to the aroma. It is a felicitous compliment to the minty green springs of rosemary. Halcyon thoughts of spring renewal and tranquility settle over me as I inhale. And inhale deep. With each new breath, the fragrance grows a touch more green. The verdant greenness of the geranium, the pine green hues in the lavender, the dusty moss shaded sage. The herbaceous notes are seamless and perfectly blended into a mellow base of patchouli. These all harmonize effortlessly like the flora and fauna in the fields. The light and shadow play upon each other, the magic and nature go hand in hand. This is truly a scent for quietness and repose of the mind, body and heart. This aromatherapy is portable magic, indeed. Do you have any all natural favorites? In what situation could you use a perfume like this? 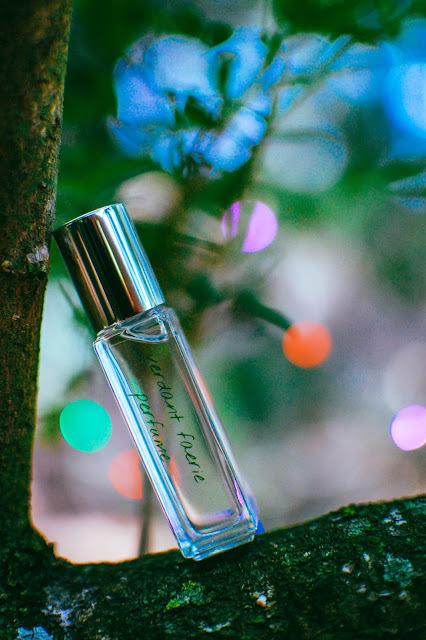 Doreen is wonderful, and although I started following her blog, I didn't put it together that she makes and sells perfume. I'll have to try it sometime. Jaybird - Thank you so much for your compliments! I will have to crack the whip on my marketing team! lol!